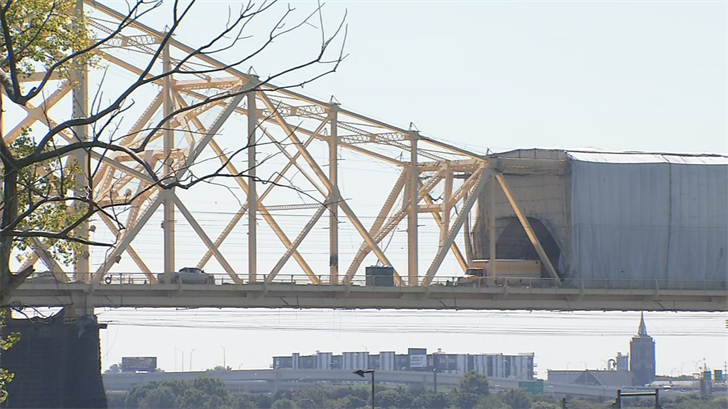 LOUISVILLE, Ky. (WDRB) -- The Kentucky Transportation Cabinet says overnight closures on the Clark Memorial Bridge (also known as the Second Street Bridge) that connects downtown Louisville to Jeffersonville will resume Wednesday night. Moving forward, the bridge will close every night at 8 p.m. and reopen at 5 a.m. the next day until the project is complete. Officials with the transportation cabinet made the decision to start overnight closures last September, after dozens of crashes were reported in work zones. This week crews are installing equipment and rigging to continue cleaning and painting the bridge. During the day, only one lane of the bridge will be open in each direction. The project is expected to be finished sometime in November.